The newsletters are compiled by Dot Garrett. If you would like an interesting article or news item to be considered for inclusion in future editions of the newsletter, please email them to her. You can also join our closed facebook group for up to date information and more! At the Salons G.L. Avenida del Mediterraneo 32. 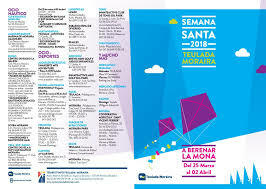 Teulada. at 10.30 am. 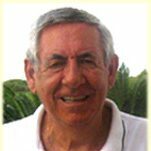 The Speaker at the General Meeting on 2nd April is Tony Grande. Tony is representing the charity " Make a Smile " and he will talk about the work that the charity has been involved with over the last 9 years and their future plans. Make a smile works with the community in raising funds and using these to supply a balanced diet and daily needs for 50 children in the Emaus group and a home with mentally disabled youngsters. This is my first message as your new President. So far, very calm and quiet with lots of very nice words of encouragement. I am very fortunate to have a very hard working committee and this is a bonus to me as they are all very committed to their various roles. We have just celebrated St Joseph`s day on the 19th of March. This is also Father`s day in Spain, but my 2 children refuse to acknowledge this, so I have to wait until June when Father`s day is celebrated in the U.K. before I receive any presents. St. Joseph is the patron saint of carpenters and traditionally children cook their father`s breakfast on this day. Those families who are particularly religious also give symbols depicting Jesus holding carpenter`s tools. 5 years ago, Eileen and I went to Denia to watch the Parades. Unfortunately, 5 minutes after the procession started, there was a tremendous rain storm and the parade immediately stopped. However we drowned our sorrow at the nearest Tapas Bar. It was amazing to see the huge life-like statues made from various materials including paper mache. The statues are called Ninots and often make fun of Spanish celebrities and politicians. They are set alight at midnight but unfortunately we have never seen this as we are safely tucked up in bed. I would like to wish you all a very Happy Easter and hope to see you at the next General meeting. Please send your views and observations by the copy date as shown above. With great interest I have been reading all the comments on the question of dress codes on festive events. I have all my business life been working with Men’s Clothing and must support the opinion, that Jeans and multicolored shirts are not acceptable for Dinner Dances and other festive events. Invitations should be marked with the desired dress code. We only spend 6 to 8 weeks every Autumn/Winter in Moraira and are very impressed with all the interesting programmes the U3A is offering. If you should need a speaker during our next visit ( 29.10. to 10.12. ) I could easily come up with a 20 to 30 minute lesson on the subject of Mens Clothing. I run a charity bookstall in Teulada market on Wednesday mornings, all proceeds go to the Alzheimers centre in Teulada.The lions very kindly donated a cabin for us to store the books and tables but we need some volunteer help to set up at about 9am and take it down around 12.30. Its quite physical so you'd need to be quite fit, it would probably be too much for anyone with a back problem.The guys usually go for a beer half way through and coffee is provided. Its a lot of fun with our regulars who come most weeks to buy donated books.The centre urgently need our help. We donate every penny to help with their bills and expenses etc. 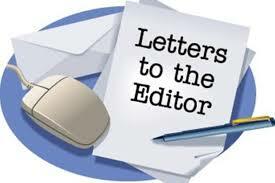 Please would you include a copy of the letter I sent to John Hopwood in the newsletter. I would like to suggest to you and your committee regarding the sound problem we suffer when three hundred or more people crowd into the Banqueting rooms in Teulada. Could we not make an offer to the land lord and install a number of small speakers around the room using the large pillars. I have a feeling the land lord would be happy to help us as it would be a great asset to his Banquiting room when out for hire. I am 82 and I am not alone in finding my hearing is not 100% anymore. We all want to hear the speaker or hear what is happening locally. Or what’s new in the travel group, but I must be honest with you if you happen to sit near the back (after having to sit with the other group leaders before the meeting proper starts) It’s very difficult indeed. We have used this venue now for many years and I suspect we will be using it for quite some time. Could we not at least undertake a costing for such a thing. It would be an end to carrying around heavy equipment. I am sure it could be arranged that all we need is our amplifier to connect. I am sure it will not be cheap but it would mean an end to the curse of not been able to hear and enjoy the meeting. I am looking for someone in the area of La Fustera who could occasionally babysit our dog when we are out of town. Peppy is a small housetrained crossbreed who enjoys the company of people so we really don't like to leave him by himself for longer periods of time. We will of course generously compensate you for your time and efforts. Hello, I am your new Members - Committee liaison representative since our AGM on 5th March. Some of you may know that I am already the U3A Newsletter Editor. As the letters page that I introduced with John Hopwood last year has proven to be a successful forum for members views and comments I felt it was a useful progression to apply for the position on our committee. Please do not hesitate to contact me, in confidence, if you have any questions or comments that you would like to ask your committee. These may be addressed anonymously and I will ensure you will have a voice at committee meetings. I will feedback answers to any of your queries both at the U3A monthly General meetings and also within the monthly newsletter. I will also feedback any decisions that your committee make on your behalf, again at both the General meetings and within the newsletter. I look forward to working with our new committee and wish David Haxon, our new President much success with his role. 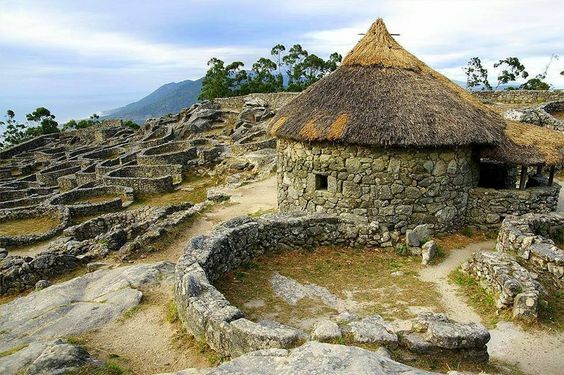 Man flourished on the Iberian Peninsula throughout the last Ice Age but hardly anywhere else in Europe. There is ample evidence of man’s first settlements in the ‘Sima Des Huesos’ (The Pit Of Bones), the world’s greatest known deposit of fossilised remains of Homo Heilderbergensis’ – c.300,000 BC. This talk starts from the earliest of times and covers the various invasions where each of the invading peoples settled, wanting an easier life in a more hospitable climate. During the presentation we shall try to answer the question of ‘What Did The Roman’s Do For Us’ and then explain as to why the Romans decided one day to just lift up their sticks and rush back to defend Rome, leaving España open to peoples new to conquer! The word “Moors” derives from the Latin “mauri”, a name for the Berber tribes living in Roman Mauretania. It has no ethnographic meaning but can be used to refer to all Muslims, Berber or Arab, who conquered the Iberian Peninsula. These Moors arrived in Spain in the year 711 and thus began a period of history which would shape Iberia differently than the rest of Europe, as the land adapted to a new religion, language and culture. 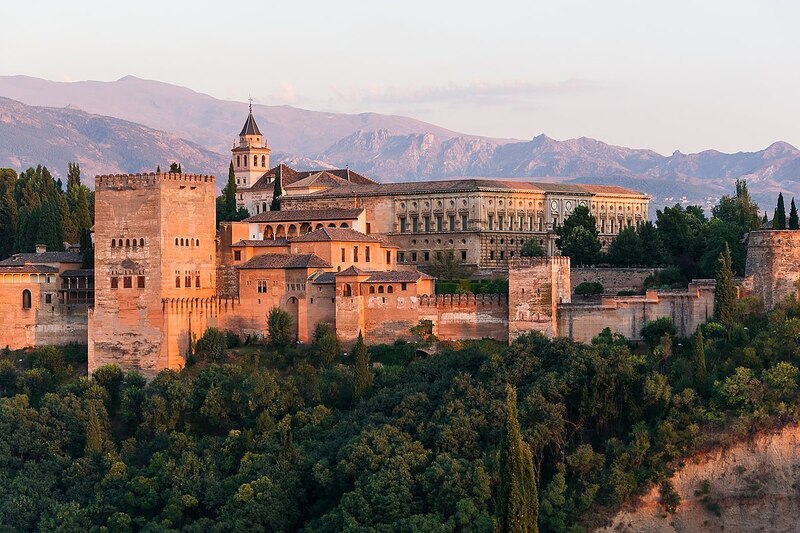 The last Moorish king, commonly known as Boabdil, finally surrendered to Isabel and Ferdinand, Los Reyes Católicos, in 1492, but as will be shown, the Moors left behind an amazing architectural legacy. 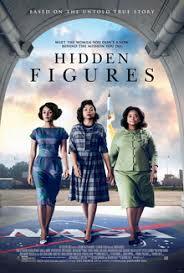 Hidden Figures tells the incredible untold story of Katherine Jonson (Taraji P. Henson), Dorothy Vaughan (Octavia Spencer) and Mary Jackson (Janelle Monae) – brilliant African-American women working at NASA who served as the brains behind the launch into orbit of astronaut John Glenn, a stunning achievement that turned around the Space Race. The visionary trio crossed all gender and racial lines and inspired generations. 2005. 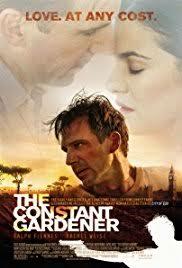 Assigned to a new post, reserved British diplomat Justin Quayle (Ralph Fiennes) relocates to Kenya with his lovely young wife, Tessa (Rachel Weisz), an activist for social justice. When Tessa is found murdered out in the wilderness, circumstances point to her friend, Dr. Arnold Bluhm (Hubert Koundé), but it is soon clear that he's not the killer. Grief-stricken and angry, Justin sets out to uncover the truth behind Tessa's murder -- and in the process, he unearths some disturbing revelations. 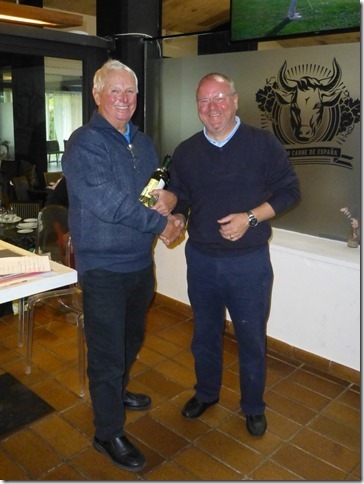 On the 27th February 20 brave souls arrived at Alicante Golf for the one of the twice monthly golf days. However, on this occasion the weather was not kind. It was raining when we arrived and continued for most the 5 hours it took to complete a round. Fortunately, most brought wet gear and were well wrapped up against the elements. I managed to leave my hat at home but was kindly lent one by my buggy partner. I did wonder why those that live in Spain would submit themselves to such an ordeal! The format was Individual Stableford, based on handicaps. There were some very low scores but also some players who clearly could play in any conditions. In detail: 1st with 36 points, Len Salter, 2nd with 35 points, Myers Logan and 3rd with 30 points, Peter Thompson. 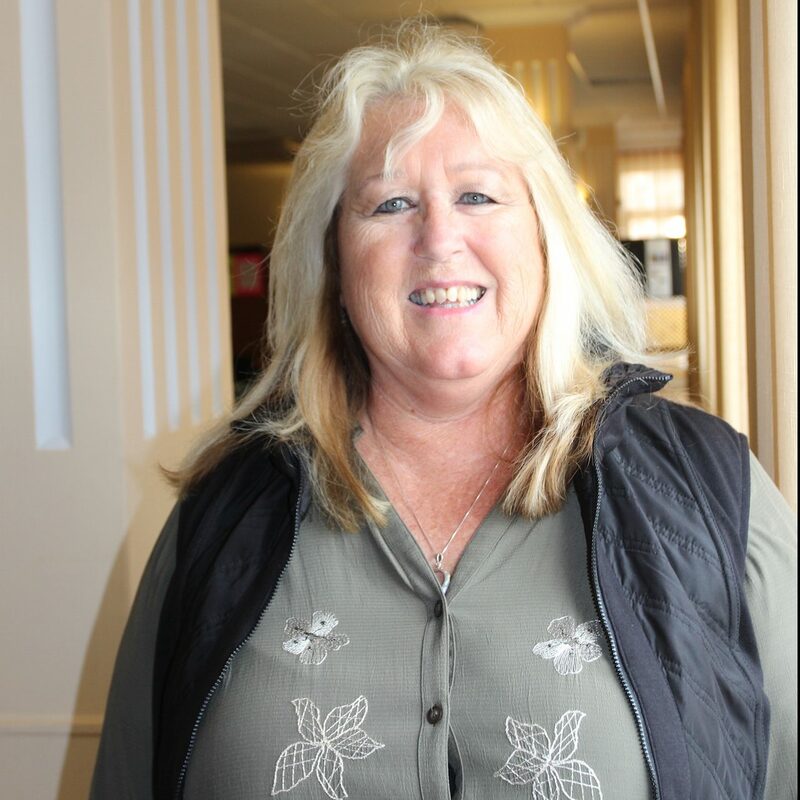 The Ladies prize was taken by Angela Thompson with 27 points. Nearest the pins were John Ross and Graham Gould. Our next game will be at Alenda on the 13th March. To start the celebrations for our 10th Anniversary year, the social subcommittee has arranged another fantastic evening for you at Salón Canor with superb entertainment provided by ABBA Elite and Poco Loco. Time : Cava Reception from 7:00 p.m., Dinner at 8:00 p.m.
Tickets : 30 euros each. There will be continuous music throughout the evening. The Poco Loco steel band will entertain us during the cava reception, there will be background music during the dinner and ABBA Elite will get us dancing until your carriages arrive at midnight. Tickets will be on sale at the General Meeting on Monday, 2nd April. This will be the last opportunity to buy tickets. If you wish to join us for what promises to be a fantastic evening, you will need to complete a form and bring it along to one of the General Meetings with the full amount in cash. Please ensure that the form is fully completed and that you enter the full name of every person as per the details on their membership cards. You can check the menu online and then download the form. A few copies of each will be available at the General Meetings for those members without computers. 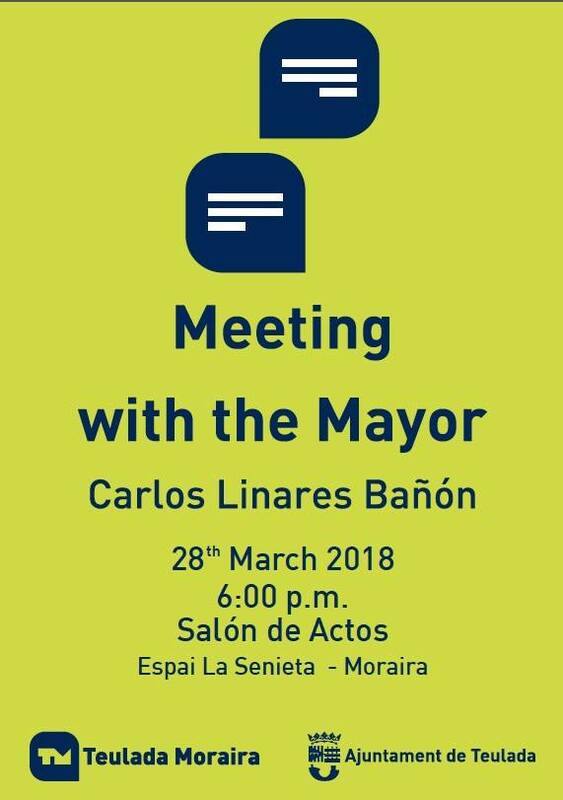 Please note that all functions are only open to fully paid-up members of the Moraira-Teulada U3A. Please ensure that you have renewed your membership before you apply for tickets. Instead of pasta to accompany your favourite Italian sauce why not try making your own Potato Gnocchi? It is so simple and really satisfying!! Steam the potatoes for 15-20 mins until tender. Mash well, ideally with a ricer, which will give fluffier gnocchi. Add the egg and some seasoning, mix briefly with a fork, then sift over the flour and bring together to make dough. It should feel dry to the touch but not crumbly. Add more flour if needed, then knead a few times on a floured work surface. 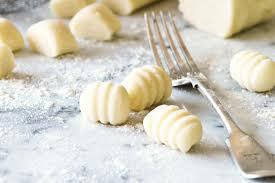 Try not to overwork the dough as this will make it hard, we like nice fluffy gnocchi! Bring a large pan of water to the boil. Divide the dough into tennis-ball-sized pieces, then roll into finger width ropes. Dust with a little flour, then cut into bite-sized pieces. Press each piece against the tines of a fork to make the classic ridges. Boil in batches for about 2-3 minutes or until they bob to the surface. Lift from the pan with a slotted spoon and leave to cool in a single layer on a large plate or tray. Drizzle the oil over the cooled gnocchi and toss gently with your hands to coat. When you are confident with making Gnocchi perhaps try substituting half the potatoes with parsnips or sweet potato, perfect for veggie friends. Another addition to make to the potatoes when mashed is parmesan cheese to make cheesy Gnocchi. half a 125g ball mozzarella, torn into chunks. Heat the oil in a frying pan, then soften the onion and pepper for 5 mins. Stir in the garlic, fry for 1 min, tip in the tomatoes, season and simmer for 5 mins. Put the Gnocchi in a large ovenproof dish. Stir through the tomato sauce and basil. Scatter with the mozzarella, then grill for 5-6 mins until the cheese is bubbling and golden. Easter Week - Moraira - FROM MARCH 24th to APRIL 2nd. HOLY WEEK & EASTER 2018 - A BERENAR LA MONA! Please download or collect your programme from the Tourist Office. 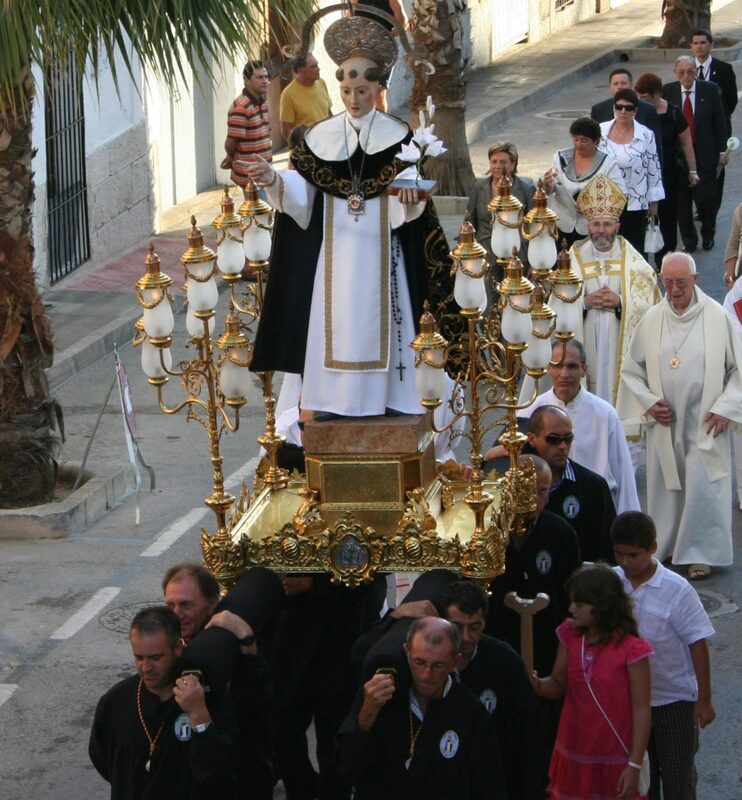 FESTIVAL IN HONOUR TO OUR PATRON SAINT "SANT VICENT FERRER"
Sunday 8th - FIRST COMMUNION DAY & PROCESSION "LA BAIXADA"
Contraband will be returning to Saxo in Moraira on Thursday 5th April from 6.00pm to 8.00pm and will be there on the first Thursday of the month for the rest of the year. So make a note in your diaries and come along for a great evening’s entertainment and support the band in raising money for local charities. 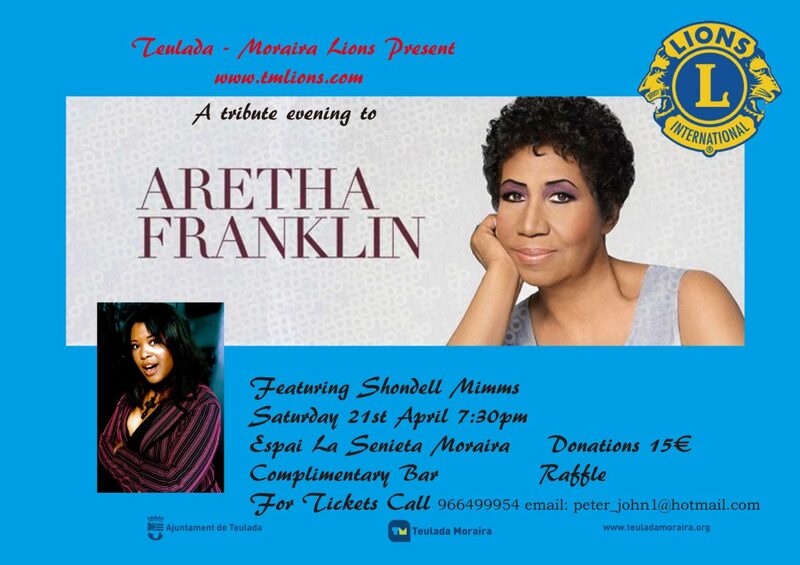 The TM Lions will be presenting “An Evening with Aretha Franklin” featuring the fabulous Shondell Mimms on Saturday the 21st April, 7.30pm. Again in Espai La Senieta, Moraira. This will be a fantastic tribute to one of the greatest Soul Divas emulating her fantastic Mezzo–Soprano vocal style and on stage charisma with all of her greatest hits. This will be a show not to miss! Calling all you “Rockers”. 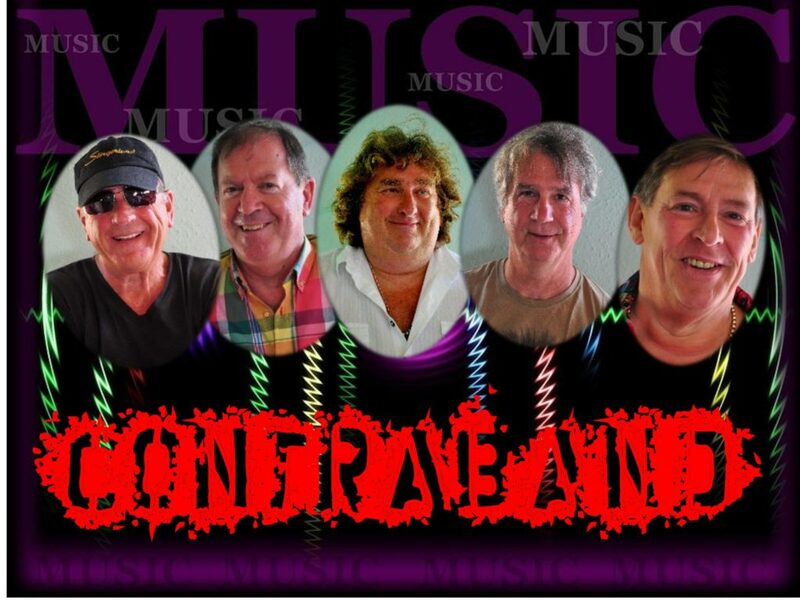 I am promoting a classic rock concert for HELP of DAMA on the 27th April, this will be a “one off” show as we have secured the band at the start of their European tour. 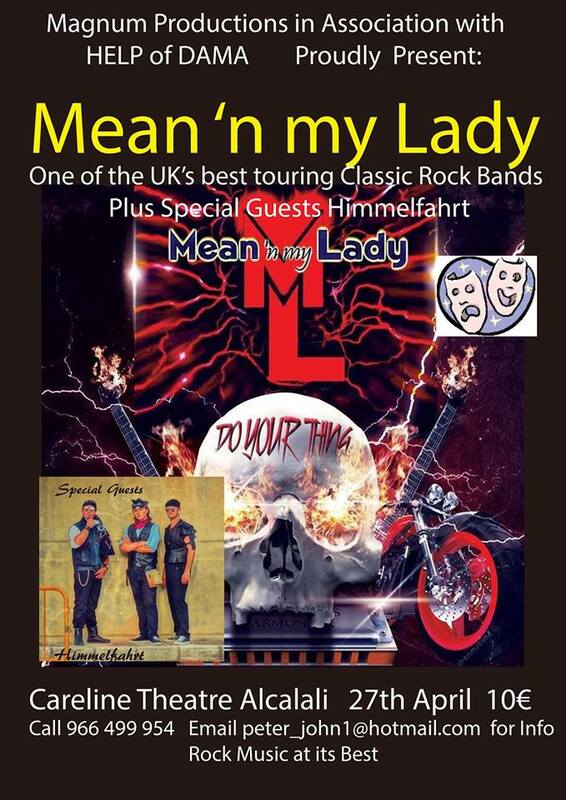 We also have a local up and coming band, Himmelfahrt, as special guests so it will be a great concert. If Classic Rock is your thing don’t miss this one! For tickets, please email peter_john1@hotmail.com or phone 966 499 954 for information.